In one of their epic battles, the Mazinger Team suffers a crushing defeat at the hands of Dr. Hell and his minions after Mazinger Z is stolen and its pilot, the legendary Kouji Kabuto, is rendered missing in action. Just when Dr. Hell's second-in-command Baron Ashura uses Mazinger Z against our heroes, Kouji makes a surprise return in Mazinkaiser - an all-new Mazinger with heavier armor and deadlier attacks. 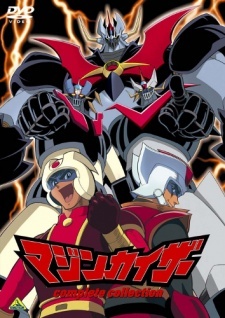 Watch Mazinkaiser Episodes Online at Animegg.org. Mazinkaiser is available in High Definition only through Animegg.org. Choose an episode below and start watching Mazinkaiser in Subbed & Dubbed HD now.